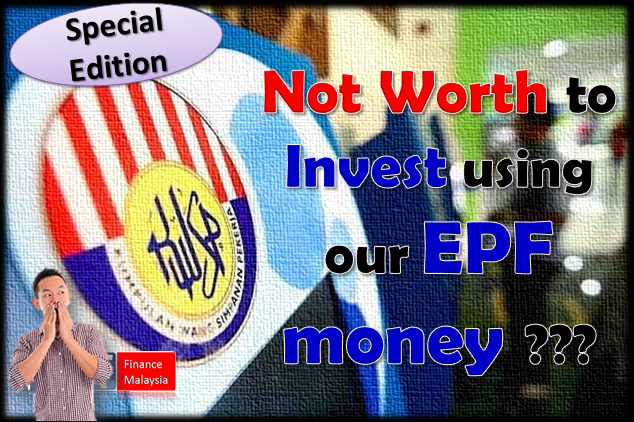 Not Worth to Invest using our EPF money ??? Recently, there is an article by Chinese newspaper saying that more than half of the unit trust funds cannot beat EPF dividend rate. This has created a lot of doubts in the mind of EPF MIS investors. Is it true? Since 1997, the scheme was rolled out by EPF with the approval from the government to let members have the choice to determine their retirement funds investment. Having said so, there is some restriction on the investment withdrawal and subjected to review periodically. The approved funds under EPF MIS has to be reviewed yearly by EPF team based on certain criteria to be met, such as funds' return performances and its' consistency. Click here to find out the rules of EPF-MIS withdrawal.